With triple Volvo model 600 diesels and pod drives this is the one to have. You can stop searching now, you've found the boat you've been looking for. This Cruisers 520 Sport Coupe is in absolutely mint condition. The boat is outstanding in every respect from the beautifully appointed master state room to the spotless engine room, she just sparkles. Fresh water since new and one owner. Don't hesitate. Call today. US Buyers; remember buying in Canada is the same as buying in the US. There is NO DUTY and NO CANADIAN TAXES. Make your best deal and take the boat home to your state. We can transport anywhere. Call today! SYS Yacht Sales is pleased to assist you in the purchase of this vessel. 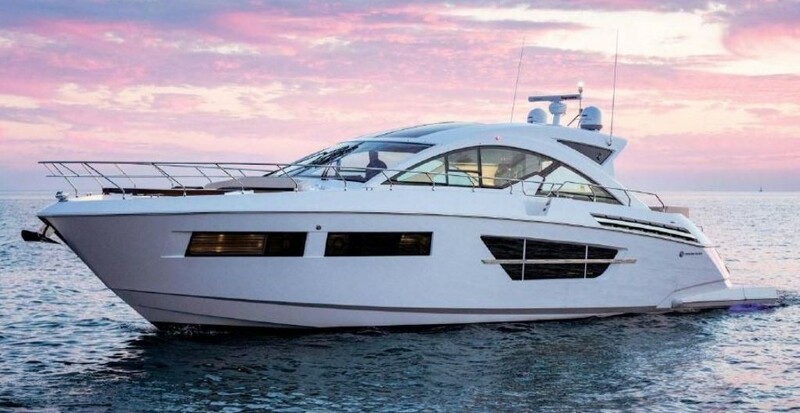 This boat is centrally listed by Bronte Shore Yacht Sales.